In November 2015, H.H. Smith walked away with the ‘Outstanding Achievement Award’ at the Made in Bury Business Awards 2015. As main contractors for the complete repair and re-development of Stayley Hall, H.H. 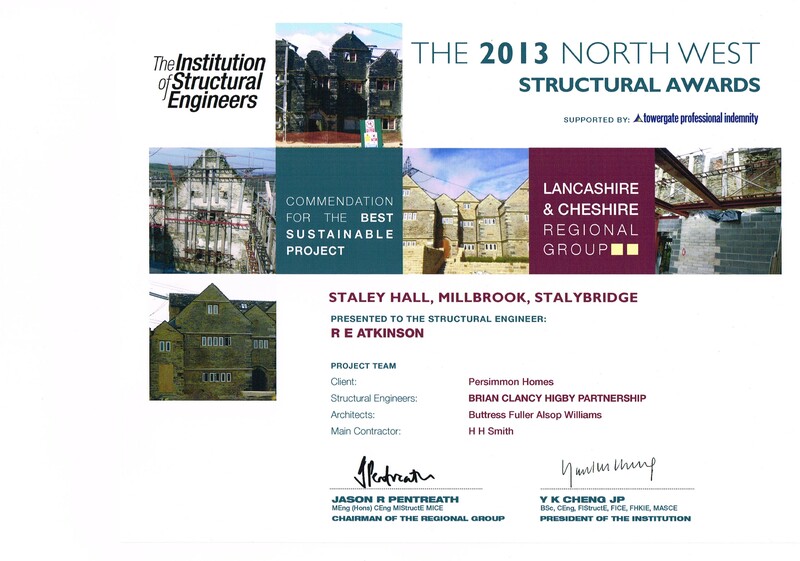 Smith & Sons were proud to help the “Brian Clancy Higby Partnership” win the coverted “Best Sustainable Project” award at “The 2013 North West Structural Awards. H.H. Smith were delighted to to be part of the the team that helped “Meridian Healthcare Ltd” take home the “Pinders” award for the “Best New Small Care Home” as a national design and build project.